This story was sent to us by Lavanya Srinivas from Katha Kamamishu. I am extremely happy to share the Photographs of the session I had at The Corporation School, Shastrinagar, Chennai for their Students of Primary Classes. 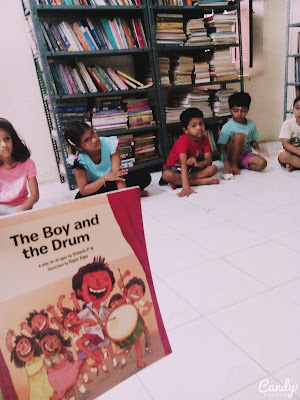 It was great fun and the kids enjoyed a lot as I started it as a storytelling session in Tamil and followed it with the reading of 'The Boy and The Drum' in English. Thanks for the opportunity to be a PB Champion and spread the joy to one and all. Thank you Laavanya for spreading the joy of reading! 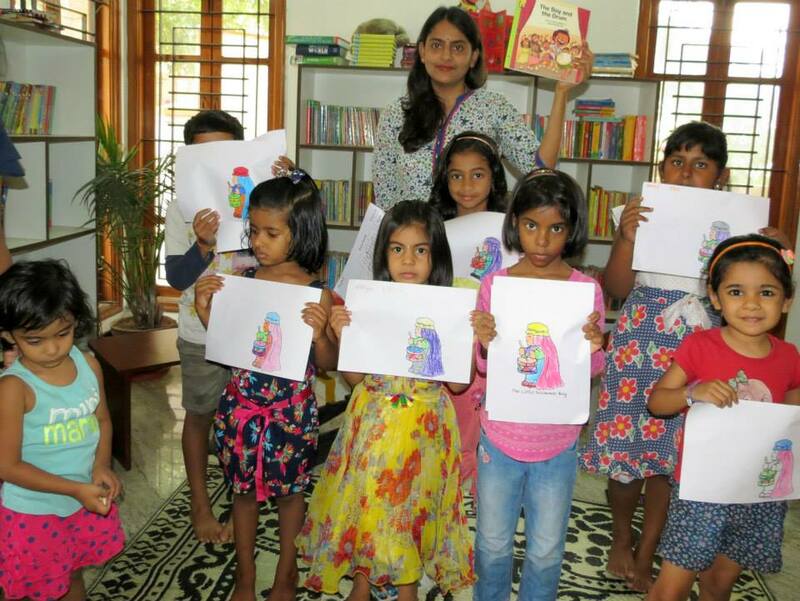 This story was sent to us by Varsha Ramesh from Books n More Library and Activity Centre, Secunderabad. 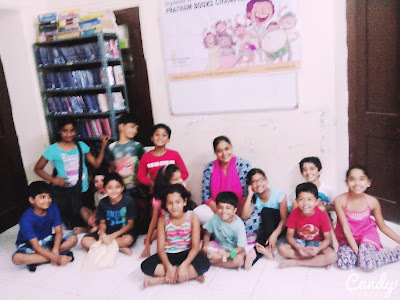 Thank you Varasha and Books n More for spreading the joy of reading! I am a bookworm because my parents introduced me to the magical and endearing world of stories. Everyone, however, is not so lucky. As a‪#‎PBChamp‬ I read a delightful tale about a boy who wanted a drum. There was an abundance of joy and an awesome community coming together to spread the joy of reading. 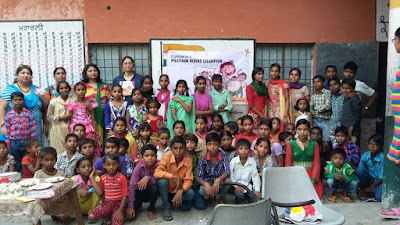 I had a marvelous time reading a simple yet beautiful story to a group of about 50 avid and attentive listeners from slums in and around government school at Mataur village, Mohali. And they had a good time as well along with some song and laughs too. 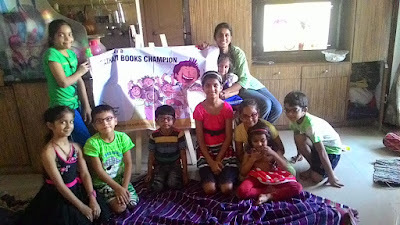 Thank you Sanchita for spreading the joy of reading! 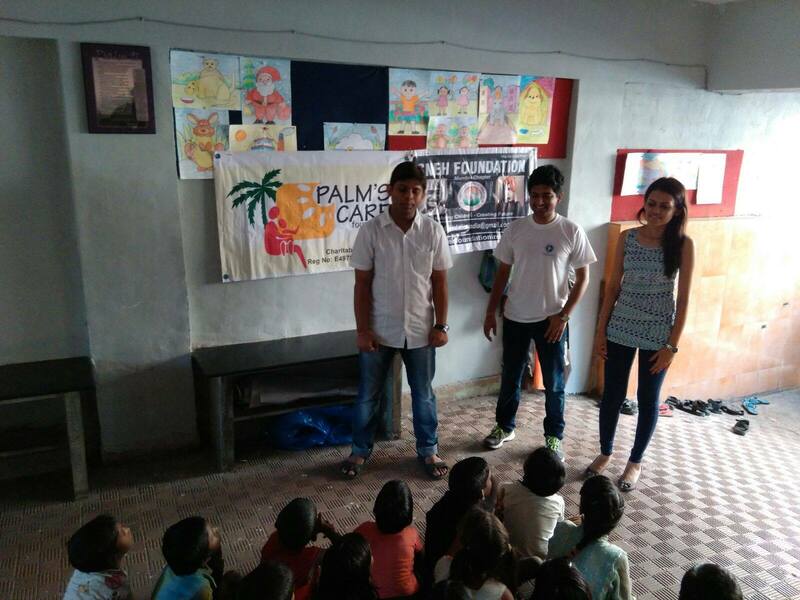 This story was sent to us by Vani Balaram. Vani Balaraman is a mother of anaughty adorable boy, loves Indian picture books , is passionate about arts and drama and works as a software junkie in Bangalore. You can follow her on Cuddles and Reads. Vani conducted three sessions this year and this is the 4th year that Vani has been a #PBChamp. 1st session (5th September) took place at Words Work Library. 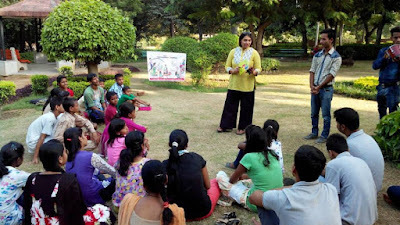 View pictures from all sessions conducted by Vani. 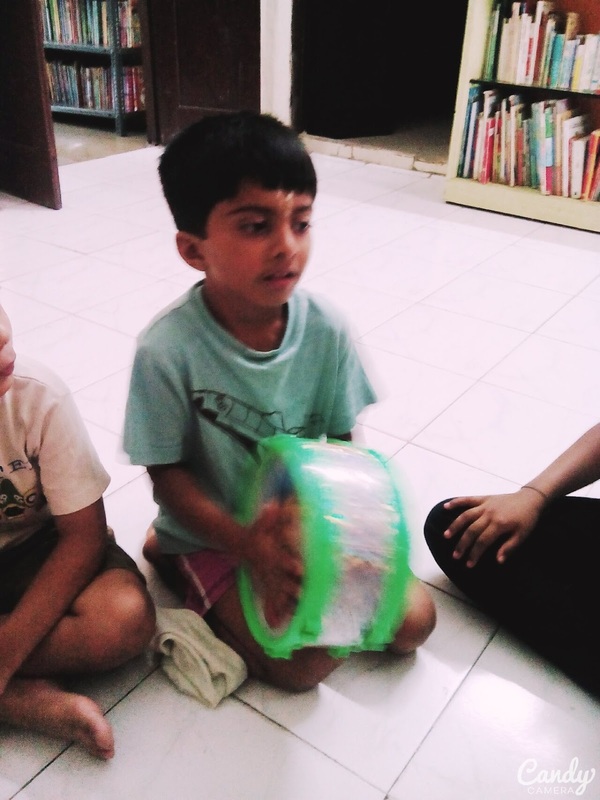 The following story was sent to us by Archana Gupta. 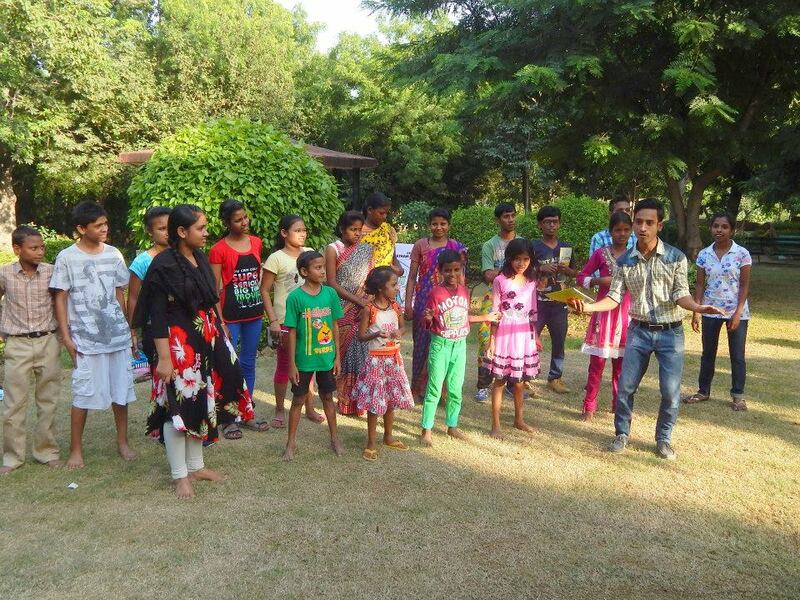 Venue: School Number 63, Aas paas Nagar, Godadara Surat. I work as a fellow at Gandhi Fellowship. After completing my under graduation from Lady Shri Ram College in Economics and Psychology (2011-2014), I chose to be the part of this programme in order to have an exposure of education system and other stereotypes. I have three different Municipal schools where I engage with the students, teachers, Head Master and the community members. 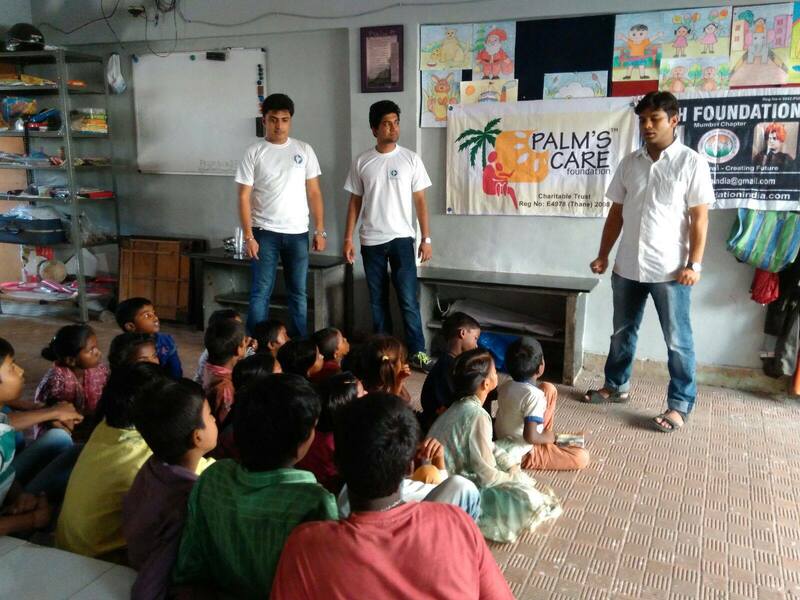 The area of intervention varies from activity based learning , life skills to spreading awareness in the community. Change, impact and leadership have been our driving force. 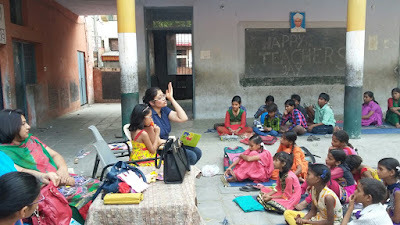 The school chosen is a Hindi Medium School. The school has a substantial number of books in the library but the system is still not good enough to make it accessible for students below 6th std. Therefore, any colorful book and stories excites them a lot. As usual, I entered the classroom and shared the idea of how about listening to a story today. 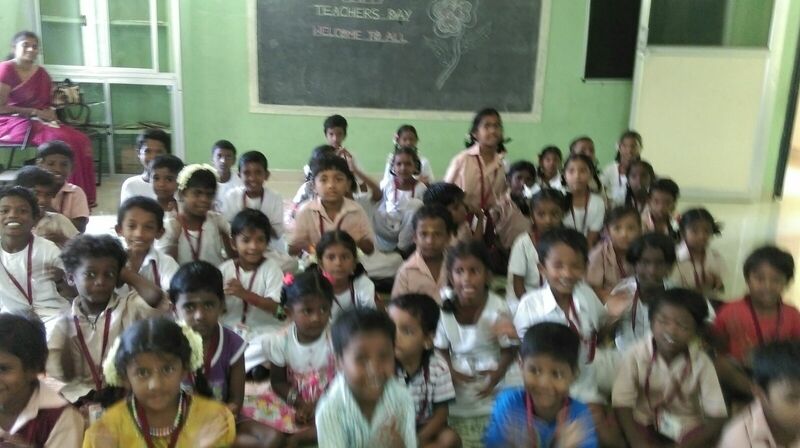 The excitement can be understood by the fact that the students finished the Mid day meal before the allotted time and came back to the class. 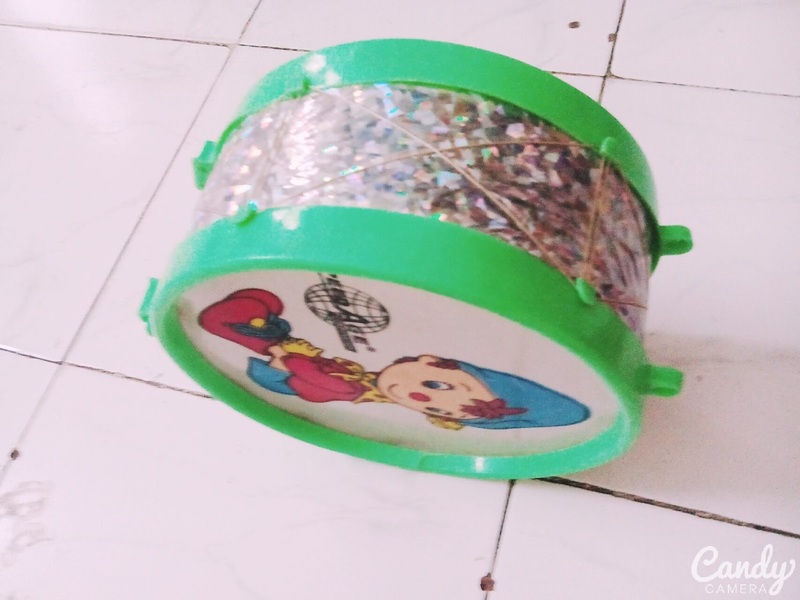 Hence, I started the story “Laadle ki Dhol” without imparting the title of the story. It started and went on without any disturbance, all because of the students’ interest. The story was titled as “Laadle aur Maalin ki kahani” by the students. They identified the individuals and the professions in the story like porter, washerman, gardener. It was followed by an art session where the students were divided into different groups and each group had drawn a part of the story. 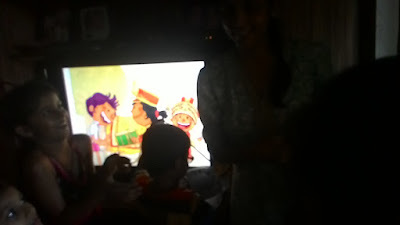 They presented it according to the sequence of the story. It won’t be inappropriate to say that give them the space and direction; their imagination will know no boundary. For them, nothing is framed into a closed structure and a horse can also be as short as a cat! The learning they deduced was significant when they said “ hume sabki madad karni chahiye”. As grownups, we would look into the importance of each object the boy got. But for the kids, help was noteworthy. It should not come as a surprise that story books still surpass all the gadgets and cartoons. In the end, stories impart a flawless smile to each face. टीचर डे के उपलक्ष्य में प्रथम का एक इनिसेटिव था कि कहानी-वाचन के माध्यम से पुस्तक हर स्कूल तक बच्चों के हाथों में पहुचनी चाहिए......ताकि हर बच्चा अपनी कल्पनाओ की दुनिया से होते हुए उसे यथार्थ जीवन में खुद के लिए होता हुए देखे और समझ सके. गाँधी फेलो अर्चना गुप्ता ने अपने स्कूल में कहानी वाचन की मदद से बच्चों के अंदर से डर निकलने की कोशिश की ताकि बच्चे निर्भीक होकर कहानी को अपने क्रिएटिविटी के माध्यम से रखे और खुद के अंदर की कौशलता को बाहर ला सके.अर्चना ने बच्चों को सबसे पहले कहानी को पढ़ कर सुनाया और बच्चों को कहा की वह कहानी को सुने पहले ध्यान से,उसके बाद बच्चों को अलग-अलग पत्रों में बाटकर उन्हें पत्रों के अनुरूप नाटक करने को कहा और अंत में एक चार्ट पेपर प्रेजेंटेशन के माध्यम से बच्चो ने अपने अनुभवों को सब के समक्ष रखा.........यह तो पहला कदम है. 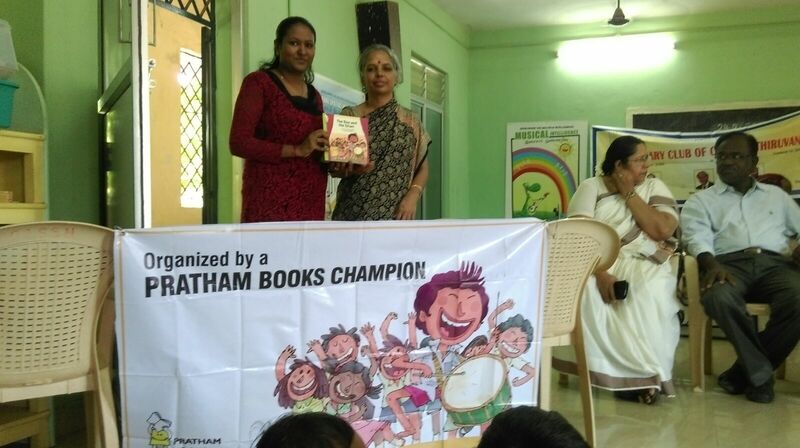 Thank you Archana for spreading the joy of reading! The following story was sent to us by storyteller Myth Aunty. Myth Aunty works as a resident storyteller in 2 schools, with the elementary age children and has been telling stories for 13 years. 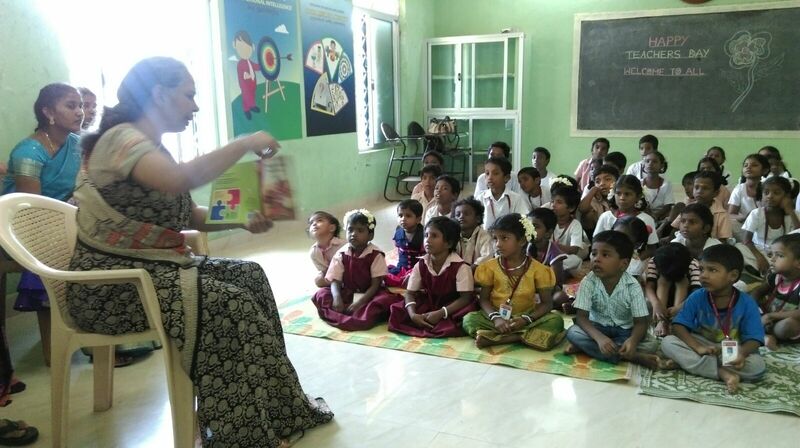 She links stories from folklore and mythology to what the children learn in the school curriculum. 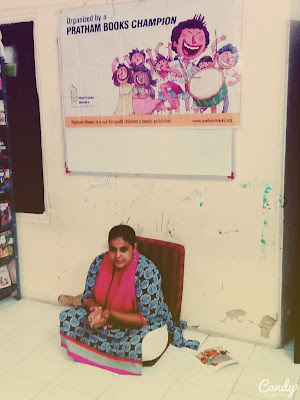 She also conducts workshops for parents on ' Family Storytelling,' to help parents use the power of their own stories to pass on traditions, values, history, family pride and much more. I conducted my first two sessions yesterday. 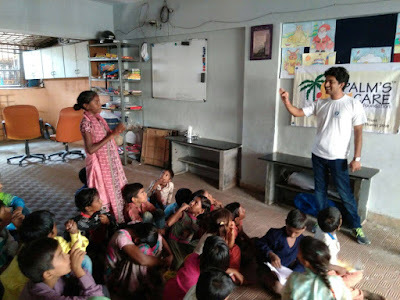 I work at a school as a resident storyteller, so it was there that I did my sessions. For the story session in school I began with a call and response African percussion chant, just to set the mood for the drum. It goes like this TOOM BAH YEEE LEY RO TOOM BAH. We tried using our body to make percussion sounds. Thigh slapping, hand clapping, foot stomping and chest thumping. The children were quite vigorous with their body percussion and we moved on, probably with a lot of sore thighs in the house!! I offered to read the book or to narrate it orally. 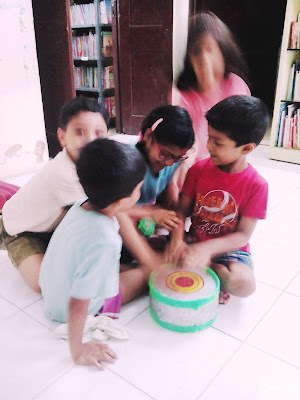 Since I have worked with this group of kids over the past 5 years, they are used to listening to oral retellings and in fact prefer that. They say that my expressions and interactions are much more interesting when I narrate a story orally. So along with instructions to ‘make the pictures in their head’ we dived into the story. There were a lot of discussions over the kind of veggies the mother grew, we discussed what ‘herbs’ were and what their job was in the food preparation process, discussed the likelihood of the mother growing ‘fancy' veggies like lettuce and broccoli as against growing ‘common man' veggies like potatoes and spinach. 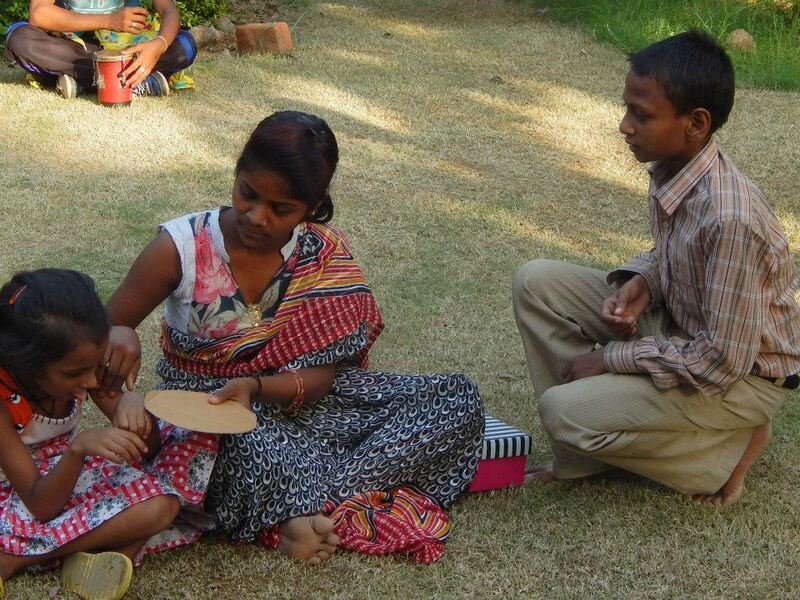 WE went on to the yumminess of wood fired chapatti.......…with melted ghee glistening on the surface, the kids concluded that it would be right up there with wood fired pizza on the yumminess charts!! The benefits and uses of cow dung was much debated with one faction ‘yucking and ewwwing ‘ it all the way and another more knowledgeable faction, extolling its virtues. The discussion went on and on and the book was perfect for a hugely interactive session. We ended the story by making story maps. 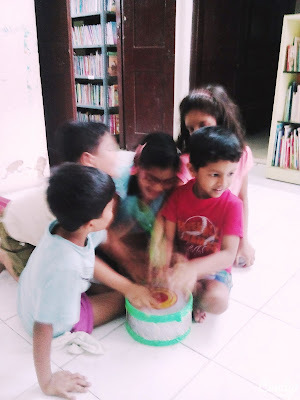 Story maps are a very simple exercise to help children remember the sequence of a story. 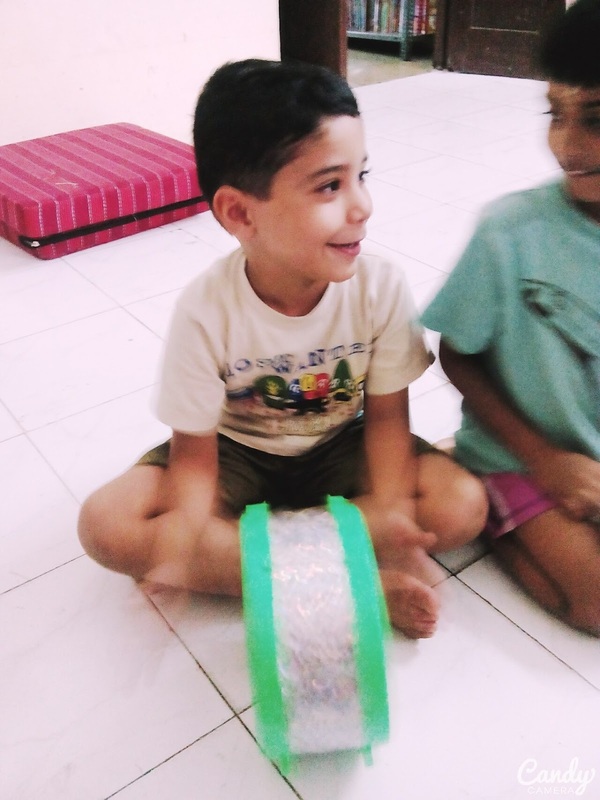 This also serves as a wonderful tool to encourage children to narrate the stories to their friends and family at home, encouraging and developing storytelling in the children as well. The easiest way to make a story map is to fold and A4 sheet into 8. When you open it out, there will be 8 blocks. The children were asked to draw symbols for the key points in the story. So some just drew a stick, chapatti, pot, coat etc. Others drew more elaborated maps. 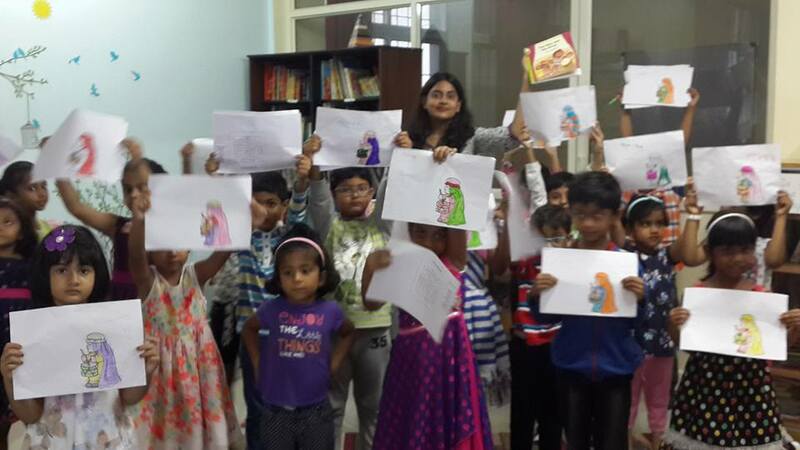 Myth Aunty also sent us some of the Story Maps that the kids created. 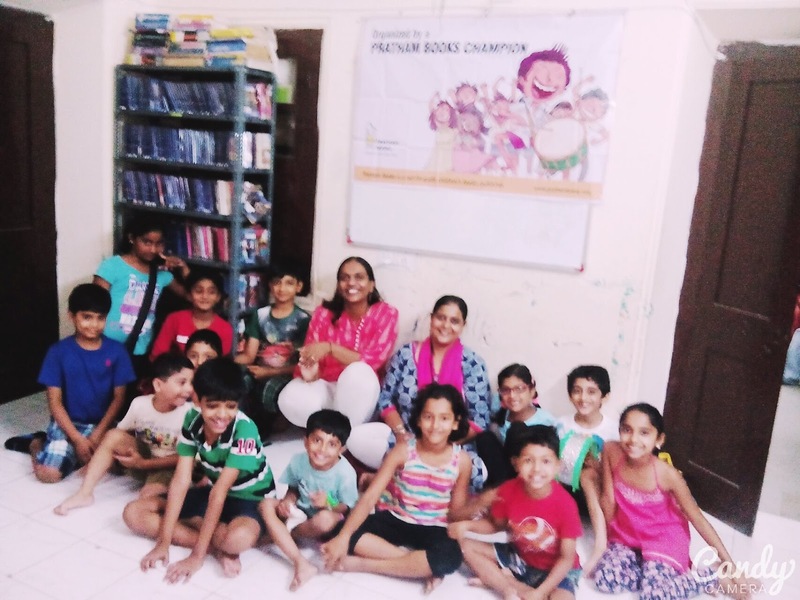 Thank you Myth Aunty spreading the joy of reading! View more pictures from the International Literacy Day Celebrations held in 2015. 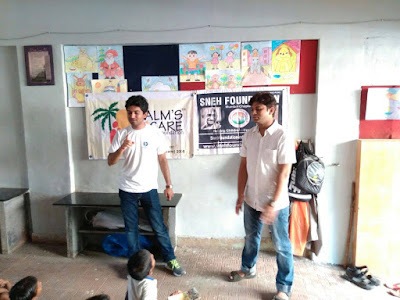 This story was sent to us by SNEH Foundation. 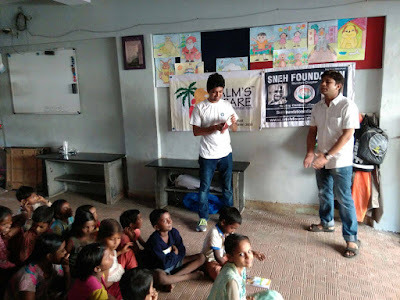 SNEH Foundation is a registered NGO founded with a vision to provide equal means and opportunities of education to the unprivileged children of our nation, spreading awareness pertinent to health issues and making the underprivileged families cognizant of a nutritious meal. 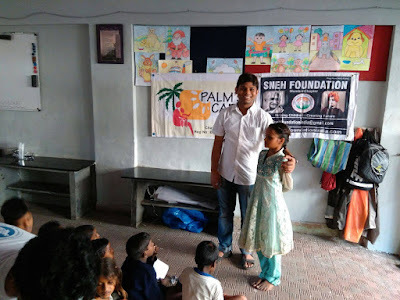 SNEH has been triumphantly working in the areas of education and women empowerment for more than four years in Pune and recently expanded its operations to Mumbai. 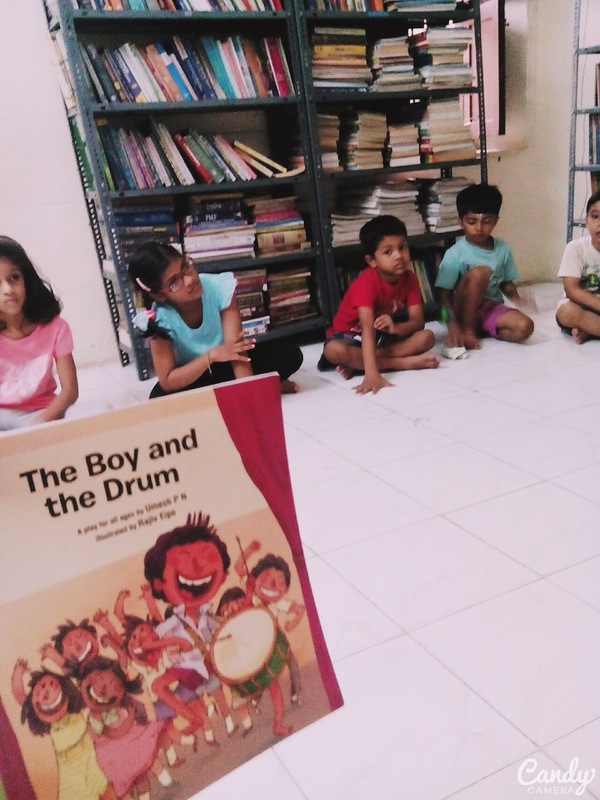 On Sunday 6th September, four enthusiastic volunteers of SNEH Foundation (Tarun Chandna, Pratik Masurkar, Swapnil More, and Prajakta Tandel) set out all the way to Koparkhairane where they delivered a fun-filled and zesty storytelling session based on the Pratham book, The Boy and the Drum. Thus, they became #PBChamps too! This event was held as part of the One Day One Story initiative by Pratham books. There were 25 children in all. Initially they were restless and curious. But once the story began, they were attentive, keenly listening to the story with interest. After the storytelling ended, the volunteers held a mini Q and A to know whether the children grasped the story. And their "all-correct" answers proved that they did! 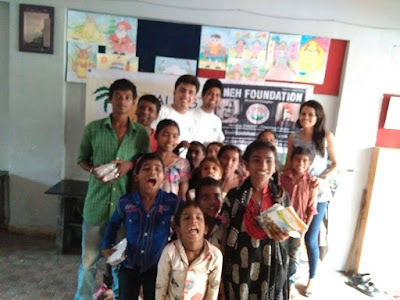 The SNEH Foundation volunteers had a great experience and hope they can receive more such books in future as it will help to impart knowledge in a fun-filled and interesting manner. Bijal Singh sent us a short and sweet note on her session. It was really a wonderful experience of being champion for the 2nd time. We also had monoact on safety by kids and they did a wonder wonderful job. Have attached some pics of story telling session. As always, I'm in love with Pratham Books' stories. Thanks for such initiatives. 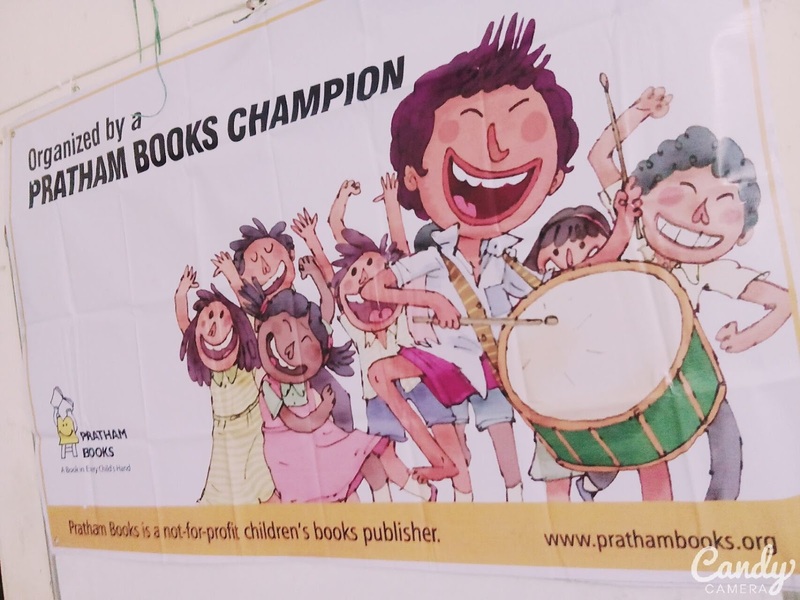 In its fourth edition of the 'One Day - One Story' campaign, Pratham Books was joined by 2500+ storytellers who conducted 2300+ storytelling sessions. 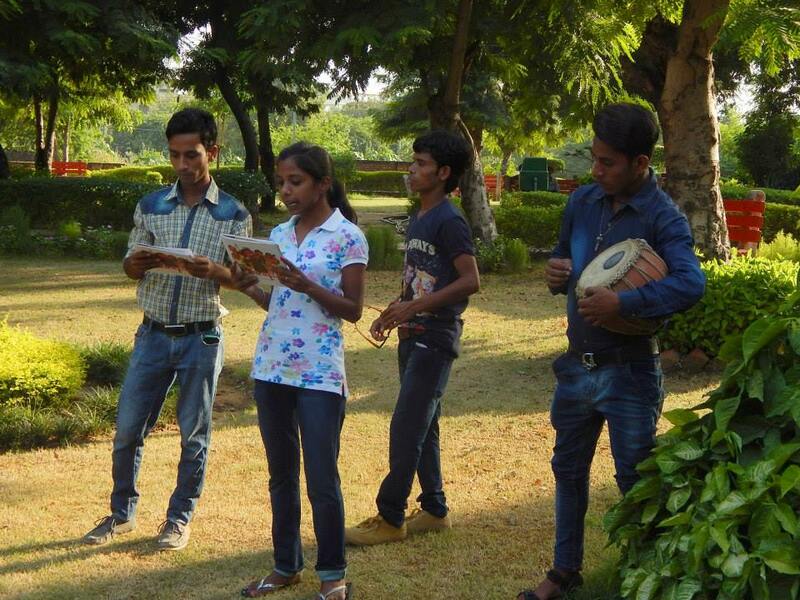 Many, many steps towards a 'Reading India'! What started as a small step by Pratham Books to spread the joy of reading has become a movement. 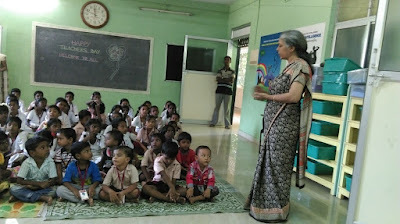 In 2012, Pratham Books initiated the One Day-One Story initiative on the occasion of International Literacy Day . We will be sharing the stories of all our volunteer storytellers (Pratham Books Champions) through our blog.